There is no substitute for real gold. All the Gold ETF and paper gold will not control, take the place of or substitute for real gold. Paper gold is pretend gold. Rather like fools gold. It has no substance and is more tinsel town than anything else. It is an illusion that has been fostered off as being real when it is more like the proverbial check in the mail, a promise with no delivery. In short selling gold for example, no or only a tiny fraction of actual gold delivery takes place. This is fully recognised and perhaps even used to advantage by nations who are not fooled by the continuous gold price manipulation. Countries such as China, India, Taiwan, Russia and the South Americas for example. These nations and their individual citizens are wisely accumulating physical gold at a steady pace. In some cases even willing to pay a higher premium to obtain real gold. India for example, where solid gold can fetch up to 1800 dollars an ounce. Venezuela is a case in point. In spite of the heavy manipulation of the gold price this year Venezuela still prefers to clutch her gold to her bosom and not have someone else hold it. German is still trying to extract its gold from the US as have many counties before it such as Holland, Switzerland and Taiwan for example. The Shanghai Gold Exchange (SGE) is an interesting indicator of the value of real gold as compared to paper gold as traded on the COMEX. In April of this year The COMEX had a massive volume of over 900 billion dollars while the SGE's volume real gold was a lot less than 10 billion. All the gold in the world is only worth around 7.1 trillion dollars and as Asia, Russia and other countries own most of the physical gold one can ask oneself, where is the backing for all that paper gold being 'traded' on the COMEX? The delivery rates are extraordinary also. COMEX 2.7 percent while the SGE was 38 percent. The COMEX are delivering next to nothing while actual physical gold is traded and actually delivered on the SGE. Even more interesting is that the average COMEX gold price was $1,487.30 per ounce while the SGC had an average of $1508.64 per ounce. Here we start to see the true value of gold as distinct to the paper. Even today the SGE gold price trades significantly above the COMEX paper gold price. 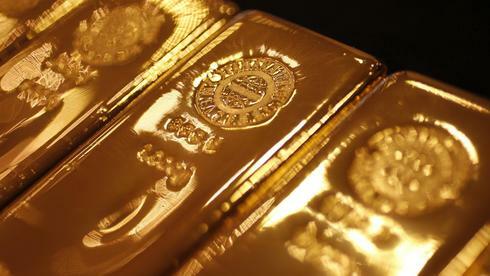 The Asian nations do not buy paper gold but real gold. The Indian gold price is also tracking higher than the 'authorised' western gold price. Some of that may be due to the heavy devaluation of the rupee but nevertheless 20 percent at the time of writing is a significant percentage. In addition, reports coming through are that people are willing to pay a high premium to obtain gold and pay up to 1800 dollars an ounce in some cases. And the central banks are not slack in buying up gold. Turkey has recently added another 22 tone of gold to its coffers in July and of course Russia now tops the bill at 1000 tonnes of, not paper gold, but good old fashioned solid gold. All this demonstrates that the majority of people are smart and are not about to be duped into taking paper as a substitute for real gold.